What if blockchain could a valuable solution to energy crunch, helping the quick migration to a clean, resilient, affordable, and distributed energy system? As ‘cryptomania’ gripped trading markets at the end of 2017, a disturbing fact about the early blockchain algorithms used in platforms like Bitcoin and Ethereum came to the fore: they use staggering amounts of electricity. Estimates suggest that powering Bitcoin’s daily transactions – the largest of the cryptocurrencies by market value – consumes the energy equivalent of a country, recently surpassing Denmark and Ireland. While there is some debate over the exact figures, it is evident that the mining process of validating transactions on a blockchain has a significant energy downside. But what if, rather than creating yet another energy crunch, blockchain could instead be a solution, migrating us more quickly to a clean, resilient, affordable, and distributed energy system? We believe the unique features of blockchain – when employed using alternative approaches for validating transactions that avoid mining – can stimulate an Internet of Energy that meets our needs more sustainably. A cryptocurrency is a simple application of blockchain technology to store and transfer value. Blockchain’s use here is attractive because its traceable ledger and advanced cryptography act as powerful safeguards against hacking. Furthermore, blockchain’s peer-to-peer functionality avoids third-party intermediaries (such as banks) by design, decreasing transaction costs. This ability to securely and inexpensively commodities is a powerful attribute of blockchain technology. Blockchain also supports more complex functions called smart contracts, which enable transfers of value upon verification of a prescribed business logic. Think of this feature as market-based asset automation. 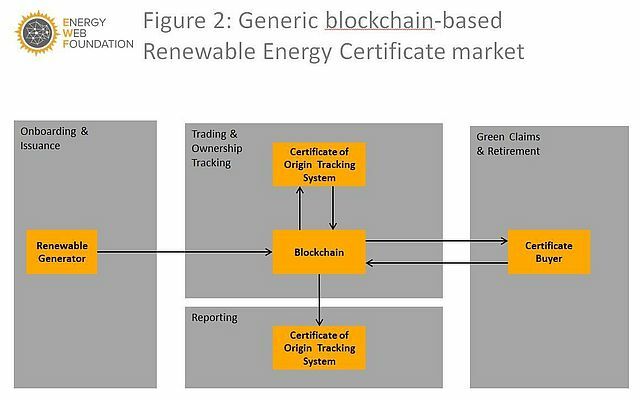 In the case of energy, smart contracts can be linked to energy-generating and consuming devices (such as wind turbines, rooftop solar cells, electric vehicle batteries, smart thermostats, water heaters), directing their behavior based on sensor-signaled energy prices and the physical state of the grid. It is the fusion of these three blockchain characteristics: cybersecurity, low-cost transactions, and automation that will allow us to integrate a grid of centralized power plants alongside distributed renewables, batteries, and flexible load, at minimal expense and without sacrificing reliability. A blockchain-based platform enables us to simply and securely balance the grid from both ends at the same time, dramatically increasing asset utilization in a capital-intensive network that frequently runs at just 50% capacity. With rising concern about the negative impacts of fossil-based power sources, more and more customers – including many large corporations – are seeking ways to purchase “green” renewable generation like solar and wind. Yet even in markets where customers have this choice, it is challenging to authenticate a purchase in a timely manner. Blockchain technology dramatically simplifies the system, delivering transparency and trust to the marketplace. Meters connect directly to a blockchain that acts as a common, public ledger, establishing a shared set of data. 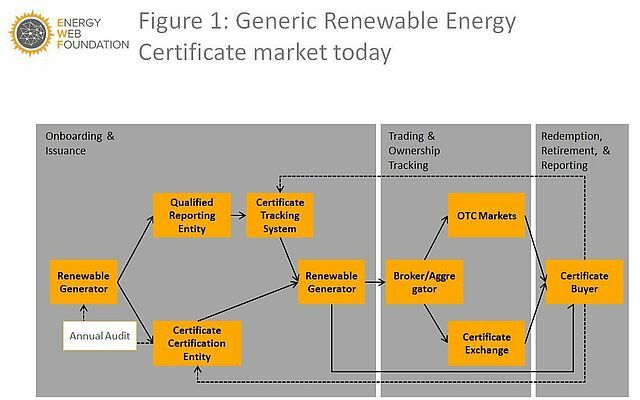 Market intermediaries disappear as accreditation and validation functions are integrated into transaction protocols. Encryption guarantees data integrity. Decentralised processing and storage protects data from attack and manipulation. Online transactions are settled instantaneously, with little need for working capital or counterparty credit. Reporting is automated, verifiable, and immediate. Aggregation and disaggregation of customers and products is seamlessly executed according to expressed preferences and targeted markets. Lowered costs and eased access enhance market participation. This hype led to over $4 billion raised in 2017 via Initial Coin Offerings, largely unregulated vehicles for funding blockchain-focused projects. However, for blockchains to live up to expectations and achieve their full potential in the energy sector, a number of challenges need to be tackled.